I won’t even try to shed full light on how strange I am when it comes to the topic of moderation or extremism. Sometimes, I am an extremist with regard to certain things: I can adopt a very “all or nothing” kind of mentality and approach. Still, at other times, I can be very balanced and moderate about certain things. It all comes down to what I am passionate about and…well, what I’m not. Typically, I think I err more on the side of truly being an extremist. That’s not a popular thing to say, is it? But if I am really being true to the way that I believe God has made me, I am that way. Most of the time, if I am not going full force with something, it is either because it’s not something I am good at, OR….. Yes: It’s that stupid and ugly fear thing again. And that’s the truth of the matter. Here’s the thing though: I think moderation is over-rated in today’s world. I also think in many cases, it’s a lie. Welike to say being moderate is good, but often that is just being used as some kind of excuse for something that is anything but moderate. I think it’s the idea of moderation – being in the gray area – being numb, indifferent, indecisive – just “existing” – that is so alluring (and deceitful and twisted up) in today’s culture and world that is getting me tonight. In many ways, I see that the idea of “moderation” and how we pretend that we covet it is actually what we are taking to an extreme in and of itself. People are getting downright pushy about it if you ask me! The truth is, people just want to do whatever they can to allow any and everything to be seen as acceptable (moderate) or justify the fact that they have actually just “grown cold.” And if we want to be really generous here, I guess we could say that most of us in some ways have at least become somewhat tepid. The endeavor to be moderate in all things is part of what we use to cover our sin and justify it. What’s the opposite of love again? Oh yah….it’s not hate. Instead of going on and on tonight about this topic – about the state of the world (myself included in that for sure) and how we got here, I am going to make one single point about moderation and how I see it in my own life. When it comes to sharing joy and the love of Jesus, I have decided that moderation is going to be thrown out the window! 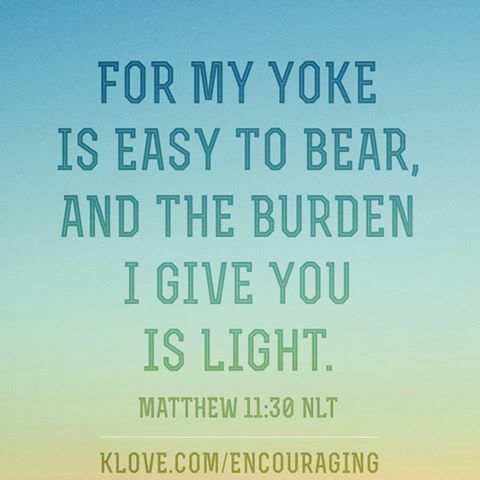 I have talked about this before – what a struggle it is for so many of us who have been given this drive to share joy and love with others in the name of Jesus – yes, in many a blog post, many conversations, and through many different encounters, situations, and circumstances. Yet I still find myself consistently being tempted, in more than one way, to hold it back – sometimes just a little – sometimes A LOT. It’s starting to make me angry. And that is a good thing, because it’s righteous anger. For me, that spells M-O-T-I-V-A-T-I-O-N. 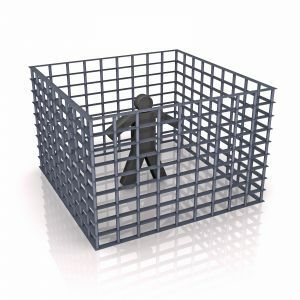 I find myself being pressured to acclimate – assimilate – mold to the current culture, dynamic, situation, group, vibe, accepted norm; the list goes on and on ad nauseum. This happens in the most unexpected places. In fact, some of the places I find it to be the most dramatic are the very places in which one might think that sharing Jesus joy and love would be so very welcomed! But it’s not. Either it is just not viewed as “acceptable”, or it simply freaks people out. Even the good stuff can be uncomfortable, huh? I think that in many cases, friends, people just don’t know what to do with it when we shine the love and joy of Jesus outward without reservation. Even among fellow Christians (especially there, actually), it can be seen as “less than reserved”, inappropriate, or just plain weird. Fact is, whether people have cold or lukewarm hearts (even if they don’t know it yet) OR if they are simply being lulled to sleep, our joy that emanates from Jesus bursting forth from inside of us and outward to others is going to be a shock. Kinda like a blast of cold water in the face when you are in a deep and beautiful, calm slumber. It’s not the most pleasant feeling at first. But eventually, you can end up refreshed after the initial shock does wear off. Guess what? I’m not going to get up and face the shock alone, yo. Ha Ha! I’m not a morning person. I like my sleep too. My flesh is funny that way. So, the rest of the world is going to have to come with me (at least, whoever I can possibly pull along with me for company). I AM going to obey my Lord and Savior and since He’s saying to wake up, I’m a’gonna do it! If you are in the same situation, let’s pray for one another. People don’t tend to really like to be awakened that way, even when they are starving for water – they’d just rather be left alone to sleep and stay comfy. In fact, we might get a slap or punch, or kick right in the chops while we’re at this. Today I realized that I thought that I’d decided months ago to stop holding in the joy and love of Jesus. But I really hadn’t done so in full. I’m sure I will still struggle at times, but the Lord has made it clear that what I’m doing so far has not been the best that I can do or allow Him to do through me. It’s sad, but true. I had decided to do that -to let that joy and love thing cut loose. But…the trouble is, that I only did so in the places where I felt the risk wasn’t too scary. We’ll see if I can stand up to the test, because the time is here – NOW. In a way, I feel free. I have decided I will not try to resist in certain places – to hold that joy and love in anywhere, anymore on purpose or to accomodate someone else or something else. Sure, I may have hard days where I am struggling, but I am going to be on my knees in prayer every single day asking for His power to overcome it. If I am holding back, it will be for some other reason – (I am sick, I have another struggle I am working through, that kind of thing). But I have made up my mind that if I find myself holding back because I am fearful of others and what they might think or how they might react, that I am going to get on my knees and pray for the power and the discernment that it’s time to cut loose. THAT stuff can no longer be a reason to water down the joy and love of Jesus. What might this mean for those of us who no longer are willing to hold back? We might be looked upon as not having a gentle and quiet enough spirit. People at church, work, in the community may feel we need to contain ourselves…be more professional, sensitive to the culture, or PC. We may actually irritate people. OH NO! People may not trust us or our intentions and motivations. I say to that – Passhhhhh! Am I feeling like I am holding back? If yes…is it because I am afraid of stepping on someone’s toes? Then STOP holding back. If it’s yes because I just don’t feel well, try to be loving, and go to prayer. And then…..hang on to your hat! Yes, moderation is sometimes over-rated – and to me, that’s the wrong thing to get extreme about. Let’s be extreme and over the top when it comes to Jesus Christ and what He has laid on each of our hearts. He has work for us to do, friends. I feel something really building – not just within myself either. I feel stuff happening out there – gaining momentum. Do you? He is saying to PRESS HARD. He is no longer whispering. He is making it clear that the time is NOW. There’s nothing moderate about them apples. Whatever He is calling you to go after with HIS kind of power and HIS kind of extreme, do it! Whether it is to be the gentle comforter, the balanced intellectual, or the joy giver, just do it. It’s time to go after it with all that we have. It’s time to unleash the King’s power and voice and reach throughout this world. Do whatever it takes to wake up – bathe in Him even when it feels shocking. Take as many with you along for the ride as possible. LOVE this! I always wonder – if Jesus decided to physically show up and walk amongst us – what might He say? then where is it in the church? who leave other’s in the lurch. then where is it in people’s life? in the misery of their strife. then why is there so much conflict? and on other’s their venom inflict. then where is the perseverance? and are nothing but an interference. then where are those who are kind? about their own peace of mind. then where is the generosity? Do you sometimes feel stuck, or like you aren’t being very efficient? Ever get the sense that you are expending vast amounts of effort, but may in reality, just be spinning endlessly upon a going-nowhere-kind-of-wheel? Sometimes in order to create a masterpiece, we have to practice and plan, plan and practice, and practice and plan some more. We can end up feeling that we are somewhat stuck as we chip away ~ working at the foundation of what we wish to actually accomplish for what can seem to be a very long, looonnnng time. We become impatient because we can see the end result we wish to achieve – that thing of beauty – that hope, dream, expectation or vision, before we are even yet equipped to put those finishing and pretty little touches on it. We are rushing creatures, we are. Today the Lord is really reminding me of how very valuable and worthy it is for us to spend solid time on the foundation of any and every single thing we wish to build. It’s about His timing, not ours. I seem to need to be reminded of this far too often. Or building and nurturing relationships – both new and old. It all takes time. We don’t just get to do the cool stuff. Sometimes being stuck in the foundation feels lame, and I can attest to that in so many ways. I tend to want to be up and running, maximize efficiency and creativity, and just….GO. One of my main personality traits or strengths, I guess you could say, is to be a “maximizer.” I would rather refine something to greatness than create something from scratch. It’s just how I roll. But that doesn’t mean I always get to tap into that talent and it certainly doesn’t mean it doesn’t grow me to have to go outside of that thing I am strong in from time to time. God is the solid rock of all that we are as we follow after Christ with everything we’ve got. And Jesus, the Master Carpenter doesn’t skimp on the foundation of anything. Guess what? He is an expert at it all! He is the Creator of all. He is the Maximizer of all. He is the best at foundations and the best at the flair. We can resist that, or we can turn to Him to help us see that He will get us through! No…we won’t be stuck in the concrete of the foundation forever. Sometimes He will allow us to stretch and fly. Other times, we have to buckle down in what appears to be the muck and the mire. It’s all a part of His awesome plan to help us to build something beautiful, yet solid. Both things are so very vital to His divine order of all. No, friends, I don’t like the foundation part of building things. But I sure do know that it’s crucial to learning to let the whole of the Master Carpenter and His expertise be manifested through me. 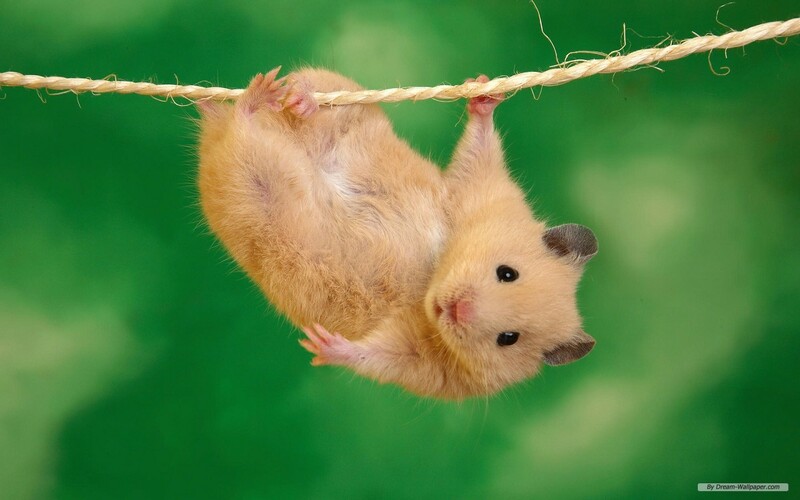 Today, if you feel like a hamster whose heart is about to give out from all the spinning and the toiling, just remember that you ARE going somewhere, my friends. So am I. And the Lord will tell us exactly when we can move to the next level. Jesus is building great things through us all if we seek after Him and remember to let Him do the guiding and the design of it all – especially in relation to the timing. One thing’s for sure: anything we build with Him at the core of it all is going to be an utter masterpiece. Just when I think it will be hard to make new friends, the Lord, in His grace, mercy and love decides to surprise me anew. Don’t you just love it how He does such things? Is it a sign of old age that we start to think that we already have met our quota regarding our ability to meet new people and be open and honest with them fairly quickly? Or is it the fact that as time goes on, we find oursleves struggling with this more than we used to because we have forgotten that we can still choose to approach friendship just like a child does. Maybe we get stuck in our ways and get into our little comfort zones and stop looking for the best in those we don’t already know or we meet along the way. Worse yet…maybe we get a bit jaded as time goes on and on and on – and we decide to close off – to shut down – to stop trying to meet new friends. I am being so blessed and meeting so many new friends lately in so many unexpected places. Our trainer is one of the best teachers I have ever had or met in my life – no joke. She is not only knowlegeable, but funny, compassionate, and FULL of grace! I couldn’t hand pick a better person to learn from, that’s for sure. This woman is someone I could connect with on so many levels immediately. She is a spiritual mentor, and someone who definitely taps right into the essence of a person. Such insight. Such love. She loves us for all that we are, all that we aren’t (yet), and shows us that she expects that we will be GREAT. In some ways, she is seeing us (well, at least me) not at our best. You know, when you are in a learning curve – fears come out – nervous stuff – whining – even tears can come. Frustration. The list goes on and on. But she still loves us. She inspired a recent one of my posts – loving one another even on bad hair days – remember? Yes…that was because of HER. That was because of Jesus in her. No matter how I do in this new job, I am a better person for having met her. What an absolute blessing. Then there are my classmates, who will be my new co-workers, and who are already becoming good friends in my life. We are all so different in so many ways, but the beauty in that strikes me time and time again! The fact that we are all in the same boat, but struggle with different things – the fact that we all have different strengths and challenges (uh-hem, mostly me on the “challenges”) – the fact that we begin this part of our work journey together. There’s something that is definitely spiritual in that bond, even if you aren’t working at a Christian organization. That’s so cool. That is groovin’ too. One gal is smart as a whip and just doesn’t miss a beat. She reminds me so very much of my best friend I had in high school, who is still my friend to this day. In so many ways, we appear to be different (as far as how we approach people or mushy-type stuff), but she continues to surprise and amaze me in how compassionate and tender she is. You know how people can stereotype others – sometimes we can think a really intelligent and together person would not be warm. Quite the contrary with this young lady. In fact, she has such a sensual (should I use that word?) side. I don’t mean in the bad kind of way – I mean she likes dance, she clearly likes fine things – art, has the coolest earrings and style. I just really love her! She is so balanced, but real. She is rock solid – but she’s a gem and a treasure for certain. Treasure is the word – it’s like you find something different in the treasure box every time you interact with her. And I love to live vicariously through her fast-working brain. She is definitely someone I would work well with as a work partner – her focus and drive and ability to catch on so quickly would keep me a bit more grounded. The other young lady in my class is also over-the-top intelligent and efficient, and has a great, sly sense of humor (which is probably the part about her particular witty brain that I love and appreciate the most)! She is one of those lovely girls – inside and out. She is soft-looking and kind and gentle in demeanor, yet never misses an opportunity to appropriately and wryly joke around. She surprises you with that all the time, because (again the stereotyping we do) when one first meets her, one thinks she may be reserved or shy…but she is not at all. She is extremely approachable and kind and FUNNY! She is full of information, but never comes across as a know it all. She has an appreciation for the big things in life as well as the small (such as fashion, and awesome videos that are fun to watch, my brothers and sisters – which is super important)! This chick is also very balance and full of grace. She too, likes fine things, I think, but never comes off as a snob at all! She has such a zest for life and all things new and hip and I love the fact that she will truly keep me in the know – I know I can always go to her if I need help and she will always be open to me. She is a young married gal and would be the BEST wedding planner in the world – something I could really see her doing one day. I love this gal too and think she’s just another really groovin’ girl. Then there’s the male presence and I just can’t say enough about this guy and what a great sport he is. This gentleman just slays me with his dry humor – which is one of my absolute FAVORITE kinds of humor in the whole wide world! At first, I just thought he was a mellow dude – which he is, most definitely. But I have to admit, I didn’t get the humor (I’m kind of dense that way when I am first getting to know someone as to whether or not they are joking). Now I find myself literally cracking up OUT LOUD at more than half of what he says. Of course, it’s always a delayed reaction on my part which just makes it even funnier. I even had a dream that he was eating lunch with Bob Newhart outside of our workplace like the first week I worked with him – ha ha! He will say something and my analytical brain will be busy processing it, and then about a minute later I am laughing (I really am the queen of delayed reactions)! This man is also a wealth of information and is so graciously helpful and approachable too. He continues to surprise me and bless me with how supportive and encouraging he is. He’s smart, funny and laid back in the grooviest way. Yep – ANOTHER blessing to us all! I think aside from the utter and total grace these new friends of mine display and the light of Jesus that shines so clearly through each of them in such unique and special ways, I appreciate the humor and the way I think that we will compliment one another at work, and maybe in life overall, the most. It is uncanny to see a group of people who can truly buckle down and work really hard, but know just when to lighten up the mood with some good laughs. Different as we all are, we have that in common. Guess what makes it the absolute MOST groovin’ of all – these blessings I have found in my new friends? It’s that we have JESUS in common. Nothing could top that. Just nothing. Thank you Lord Jesus for my new friends! You knew – yet again – just who to place me with as I move onward through this new adventure. You knew just how to mix us up so we could put our best foot forward in our new roles at our jobs when some days (let’s just face it) we are on top of the world and others we are filled with doubts. 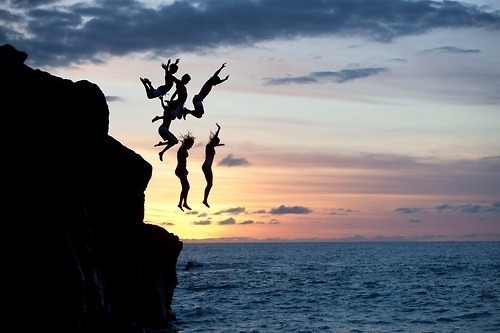 It’s just like the picture I chose to put in this post above – we are all jumping off what may seem like a cliff – (the unknown as to how we will perform after training, etc.) but we get to do it together. Jesus isn’t going to let us drown, and we aren’t going to let it happen to one another either. That’s why I chose that image instead of a roller coaster. (By the way, Annie on the roller coaster might make enemies out of those new friends of mine really, really quickly, let me just tell you that right now). Yes, no matter what, we are bonded by the common thread of YOU – the Mighty One – Savior and King and Lord! I can’t say it enough – thank you, dear Jesus! 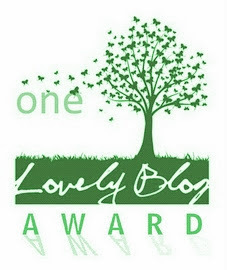 And thanks to all of you – my groovin’ blogging friends. I feel your friendship minute by minute every single day across the miles! When I speak to others about you – my wonderful friends I have met through this blogging community – I am, ironically, almost at a loss for words. In a sense, we are all jumping off cliffs all the time together as we move through this life and share our triumphs, struggles, and “stuff.” But isn’t it awesome to know that Jesus is there waiting for us the whole time? We may feel like we are free falling a lot, but He has us just where He wants us. We just have to stick together. He emphasizes the importance of that fellowship so very much. We have to ask for help. We have to make and be friends. Just like the little children do. Go out today, my wonderful friends – especially if you feel alone – and make some friends or nurture those bonds that you already do have with others. If trying to make new friends, either online, or on the phone, or through your work – really, just ANY where – simply use your own words, ask someone to come out and play – and ask someone to be your friend! We can start by being wiling to be their friend first – then make the decision to be the most groovin’ kind of friend there is – the one who loves their friends at ALL times. I was mourning a few things today – the loss of them, I guess I should say. Being able to run uphill without feeling like I may drop dead any second…. And many, many other little, pesky things. And I realized…it is not only fleshly desires such as sin that can distract us and lead to our demise, but also things such as what I listed above. I think the flesh likes to have set points. Places it likes to stubbornly stay and refuse to budge. I’m sure you have heard that in regard to weight and body fat composition, but I believe it to be true with other aspects of the fleshly desires and trials we face as well. It likes to make us think that IT has control – that the set point that IT deems to be appropriate is a brick wall we can’t move past. When we focus upon the things of the flesh…the things of this world…even the things of our own bodies, personalities, thought processes, intellect, they are still only temporary and fleeting things – not things to put our confidence and faith in at all. That’s because one way or another, those things are changing and fickle too, even though it all is trying to make us think it’s at some “set” point that we have to relax into and just deal with. My mind may not be what it used to be – I don’t know if it ever will be again – but I still have the Spirit of the Lord living inside of me. No matter how hard this stuff of the flesh tries to distract me from that, nothing can take His power away. I refuse to believe that I have reached some fleshly set point that’s never going to budge. I may have to adapt for a while and let things settle, but God is the One who will determine the state of things now and in the future. Although He is unchanging, His power is vast. I have seen Him change things that appeared to be set points of the flesh, heart, mind, soul in the twinkle of an eye. If you, like me have stuff you have to “deal with” that is like a thorn or even a rosebush in your side, go ahead and deal with it. But at the same time, try to remember the last part of the verse above – we need to set our minds on that – upon HIM – and remember that at the end of the day, that’s all we are taking with us anyway. Let’s adjust how we need to adjust to the phases in life or the circumstances in which we are placed for now – all the while, asking the Lord to bring about the changes in us He so desires. Patience with the seeming set points of the flesh. Perseverance in prayer that the Lord will make them budge and bend to His will. Peace that He will deliver us. That’s the only place our hearts and minds should be resolved to be set upon in this life. He is down to earth, works with water, talks with a twang, and old people – especially old men who like to tell stories, flock to him! As mellow and laid back as he appears to be, he is really quite hilarious. I have mentioned this before too. When I first started reading up on what to expect when peri-menopause would turn into full-blown menopause, I shared it all with husband. I told him that what I was reserarching said that I would be starving for estrogen, and that the male hormones would be attempting to take over my mind and my body. 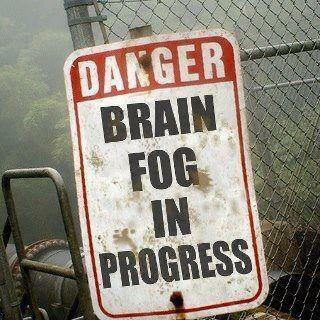 Then the brain fog emerged – husband’s response? I was beside myself with laughter and still laugh about it to this day. 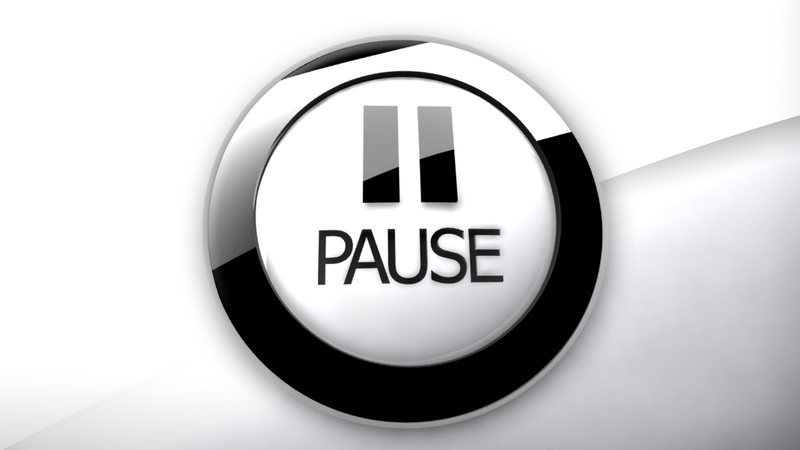 So last night at church, we were discussing menopause with another couple, and also talking a bit about “man-o-pause” which seems to be a very real thing too – men becoming more “sensitive” as their testosterone wanes in their middle and older age. I shared with the lady friend in the group that the brain fog is to the point that now I am going to have to look into some other options as to how to deal with it….in jest, she turned to my husband who was joking around and said…”so what’s your excuse?” (He was being a dork and joking around and we were of course making fun of him). I said maybe he was in man-o-pause. I realized tonight that a small flame was burning inside of my heart, and I’m not talking aobut the good kind: you know – the type that ignites passion and brings about glory to God? I’m talking about the kind akin to what is seen in the image above…the deadly kind. Yes, Annie needs some heart help again, and my Jesus, my Savior, is going to deliver! Tonight I have to admit to you, my dear friends, that I began (over this last few days) to sense the seeds of bitterness taking root in my heart regarding a few people I have been interacting with of late. Yesterday, these little seeds started to feel hot in my heart and I realized, when it peaked today that a fire was about to start. 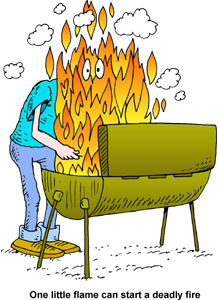 That fire is what we call Anger – unrighteous anger. And it’s not a pretty state of the heart at all. I was not slow to anger regarding several hurts that I have experienced in the last few days or weeks. The enemy tried to make me think that I was – he tried to trick me into believing that I was “just hurt” and not angry at all. He tried to make me think that I had every right to be hurt and that I could just take it for what it was and move on instead of dealing with it. It worked for a while. And it spelled D-A-N-G-E-R. But see, that (“push it down – ignore it”) series of evil little whispers are what caused my little hurts to have time to turn to bitterness, and that bitterness was developing into full blown and ugly, dark anger. 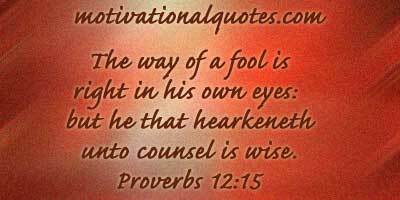 As the verse says above, this can then lead to foolish behavior – and I can’t afford any of that at all! I’m already struggling in many ways to stay coherent without the fire of anger raging and clouding up my heart or my brain any more than it already is (ha ha). That last little comment may be funny, but t’s also (sadly) true. I spoke in another blog post not too long ago about not being quick to be offended. I also spoke about desiring to love others for their imperfections. I realize God may have placed this situation in my life to help me be blessed in finding the way to bring that desire into a reality in my heart. I just didn’t choose (right away) to let it be that. Instead, I chose to pout – feel hurt – and let a fire start. Ug. I want to have great understanding. I want to have good sense. The kind that comes from God and obedience to Him and His commandments! Tonight in a different passage of scripture that we were studying in church, our pastor shared what many pastors over the years have talked about….”sin makes you stupid.” It’s so true. It’s not good sense to be quick to anger. It’s also quite stupid to leave something like bitterness or hurt alone – it always bites back – it always evolves and spirals out of control. This is a case where “ignoring” it is really fear based and not ignoring at all. It’s festering. I’m just calling it what it is. We feel what we feel, and I can’t help but still feel hurt by some of these things that others have displayed, or not displayed of late. 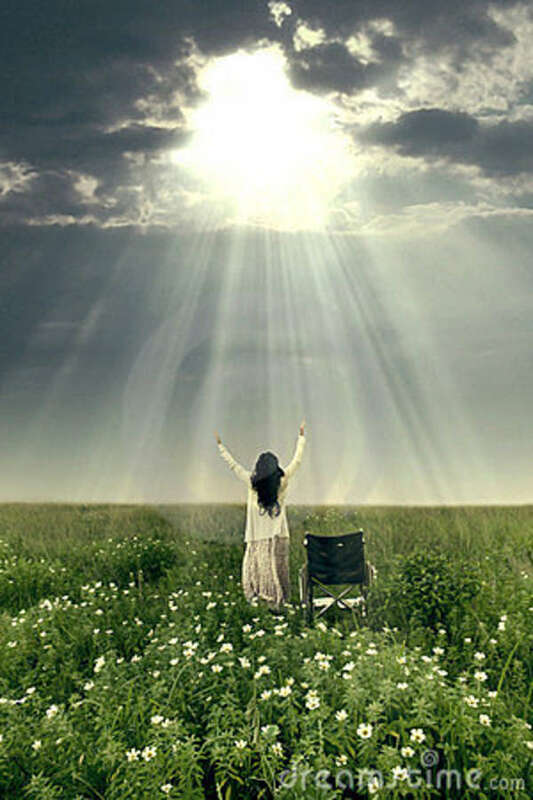 But I can bring glory and honor to the Lord in going to Him and asking Him to give me His power and love so as to overlook those “offenses.” Who knows? Maybe I’m out there offending people left and right without even realizing it. Wouldn’t I want to be given the same benefit of the doubt and pardon and forgiveness too? I want to lighten up about all of this, instead of lighting a fire of anger in my heart – or fueling one that is already trying to ignite. God can help us to do that, but we do need to ask for that help. I failed to do that until today. I plan to do so over and over again, for however long it takes. If I have to go to Him day after day to get this junk extinguished out of my volatile little heart, so be it. I want to be filled with His light versus enveloped in a raging fire that is full of stupid, unproductive, and toxic stuff. Maybe that’s why He allowed it to be there in the first place. He knew I needed some more heart work. I guess it will always be so. If you feel angry, or even if you just feel the first pangs of hurt or bitterness that may soon turn into a raging fire, I encourage you to go to the Lord in prayer and humility – you have company, I promise! He can put out the fire that is ugly and replace it with the kind that produces good fruit and cleanses us from the inside out. We can do this together. We may not feel so great about these things that people do that hurt us, but we can choose to respond with a contrite heart instead of one that is ready to BBQ anyone who hurts us. I just hope to be able to recognize such things sooner in my life than I did this time! Maybe that’s what this greater understanding He speaks about so often really is about: knowing that only HE fully understands and only HE can help us get past our hurts and hearts and selves and be more and more like Him. Isn’t it wonderful to know that even deadly fire is not beyond the reach of God and His mighty ability to extinguish all that is not of Him – all that is evil – all that is ugly? Isn’t it so much better to be filled with Him – the Living Water – not be thirsty and parched from the smoke and poison of sin? He is the living water. That’s a pretty great fire extinguisher if you ask me. Answer? None of the Above! 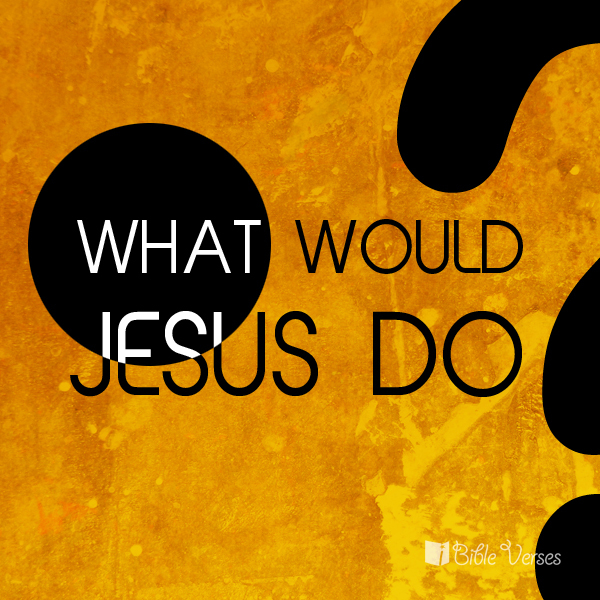 It’s really not a question of what would Jesus do…it’s about what He did and does do. There is no question at all that first and foremost, we are to be servants to others – especially those under our care. If you are a leader of some kind, whether a pastor of a church, a volunteer for a youth group, a big boss at work, or even a parent or a friend/mentor, Jesus expects nothing less that servant leadership from you. It’s not hard to find the ways to go about this – scripture is absolutely full of the ways Jesus models this for us. But it does start with the heart. WDJD? What does Jesus do? For me? For you? Once we wrap our minds and hearts around that, and fail to forget it, we then can do the same for others. Sometimes I don’t do a very good job of acknowledging the special gifts that each person around me possesses. I do try, because that’s something that God has laid pretty heavily upon my heart – the importance (and the gift of getting to) edify one another. Yet often I find that I still fall so short of hitting the mark with this. As I was driving home today, I started to wonder about it all. 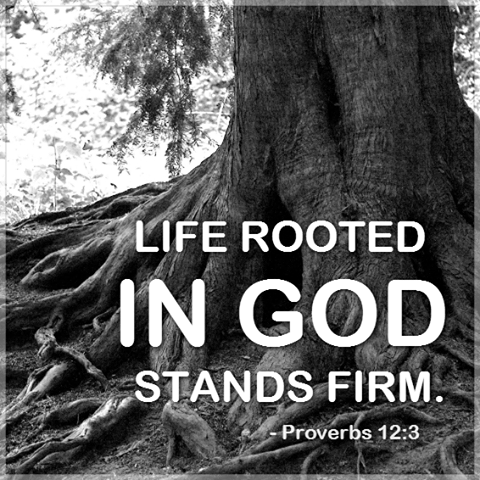 I was having a conversation with God about it and found myself asking why I might be feeling that I am falling short. What am I missing here, God? Here is what I am hearing back…. First of all, we are always going to fall shy of that mark of perfection (if that isn’t an understatement, I don’t know what is). But that doesn’t mean we aren’t to try to give it our all. AND we must remember that we need HIM to do this THROUGH us. Otherwise, it’s all just surface junk. Right? The second thing I feel the Lord trying to teach me is that edification is not limited to just lifting others up due to the strengths, talents, or unique “special stuff” that is positive and great about them. It’s also about loving them for ALL of who they are as children of the Lord. It’s about pointing out what we see that is awesome, special, and great. And it’s about making note of what makes that person a whole person and loving them through that imperfection. It’s about loving in spite of the icky stuff. Seeing the human child who is made up of so much more than special gifts, but who also has flaws in their life is not easy to do in a loving and encouraging (God-like) manner. Seeing others as special simply because Jesus lives inside of them? Now that’s really something! And celebrating that He loves them – as should we – just the way that they are – that’s what we are called to do. Yes…Jesus loves us – He knows us down to the very last hair on our heads. It’s all important to Him. 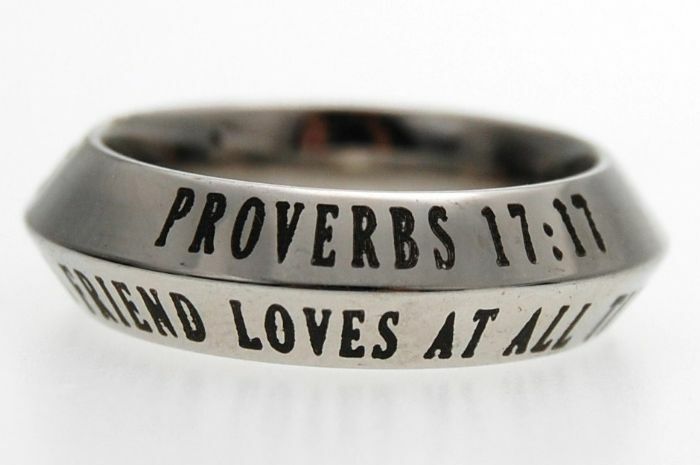 And He loves us – even on bad hair days. We are bonded through that, you know. That imperfection – that falling short of the mark of utter divinity and purity is part of what makes us somewhat the same. But most importantly, as followers after Jesus, we are bonded through Him in a way that compares to nothing else. That bond is the one that is most important – it is what transcends our human and flawed one. How awesome is that? It may be true that we all are like snowflakes or fingerprints in a sense – no two of us are exactly alike when we pull apart our characteristics or attributes and look at them side by side. But I like that “same-ness” – that sense of “one” – that commonality that we share (the fact that one way we are the same is that we are different). And I LOVE that what binds us together even more is what comes from the One, true, and unchanging God who lives inside of us if we have accepted Christ as Savior and Lord. THAT is what we ought to focus upon as we notice our differences in the things that are less than beautiful. I shall continue to pray for the Lord to help me to love every last part – every last microscopic piece of my brothers and sisters in Christ. If there’s sin there, as there definitely is in myself, I don’t have to love that imperfection or flaw, but I can still love His creation as a whole. In so doing, I am showing my love for my Savior and His most precious creations. He may not leave us just as we are if we are seeking after Him with all our heart, mind, and soul – but He will love us just as we are. Down to the very last hair. Be it smooth or frizzy, straight or curly, neat and well-groomed, or wind-blown to the max. Jesus loves us. If that doesn’t make all the hairs stand straight up – well, I just don’t know what will. I love to jog in the rain. Let me be specific: Not the POURING and PELTING rain, but the constant drizzle that I got to run in for an hour after work today. 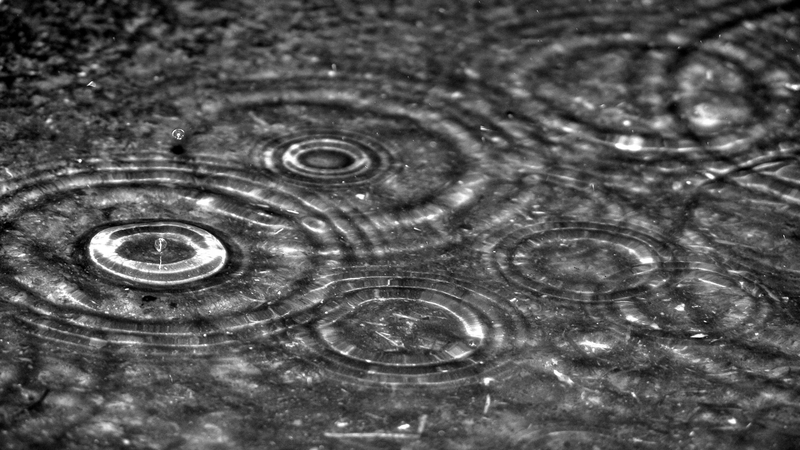 It soothes me – such drizzly, soft, droplets of water. It cools me as I sweat and pant and push onward. It is truly a gift from God – to be able to jog – to be able to run in the soft rain. Running in the rain as I did today reminds me of the fact that our God truly does reign through any and every circumstance. As I trudged up the hills that only a year ago (pre-cartwheel injury and pre-menopausal weight gain) had been quite easy for me to master, I was reminded, (yet again) of the fact that it is not me who rules or reigns over anything in this life. He reigns in the brain fog of my current hormonal situation that seems to be taking over my life piece by piece day by day. And yes…He reigns even when I am a crazy-feeling woman who is carrying around a couple of bowling balls worth of weight and another year of age on her shaky frame and isn’t sure if she will ever “get back” to where she was before (in more ways than one). Thank God that HE – Jesus Christ, our Savior and Lord – doesn’t change. 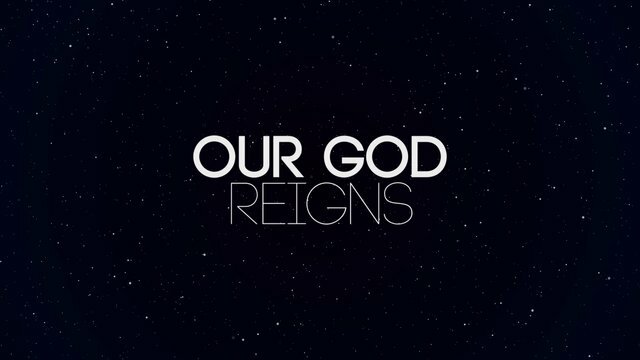 Thank HIM that He reigns in our times of triumph and our times of challenge and weakness or frailty. I am going to continue to run – rain or shine – jiggle or no jiggle – brain fog or clear minded. But most of all, I am going to revel in the company I share while on these jaunty journeys. It’s all part of unleashing His power in my life – allowing Him true reign as I endeavor to NEVER try to “rein” that awesome stuff in. Enjoy your King today and every day. 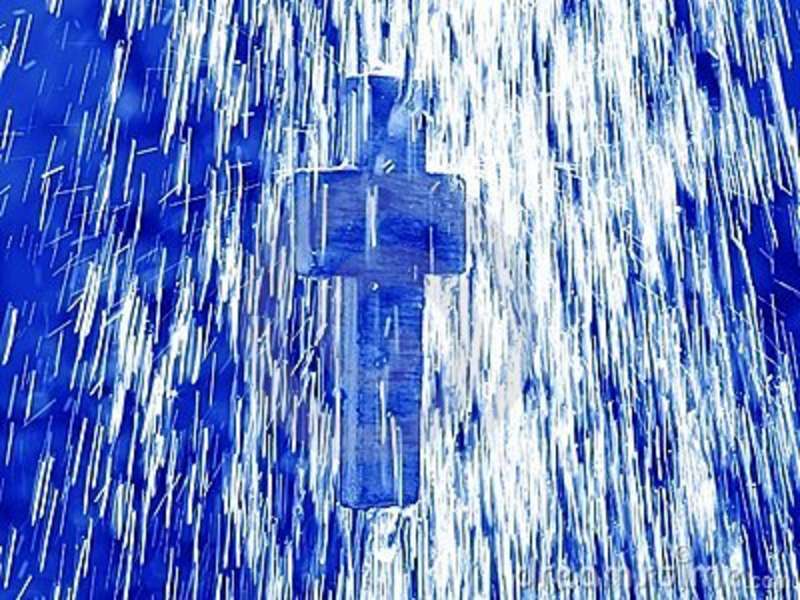 And may the “Son” shine upon you – especially if it’s raining. Calling Upon My Wise Friends – Annie B. Needs Your Vote!!!! I could make this more fancy, but I won’t. I could try to think about my word choices, but I can’t. 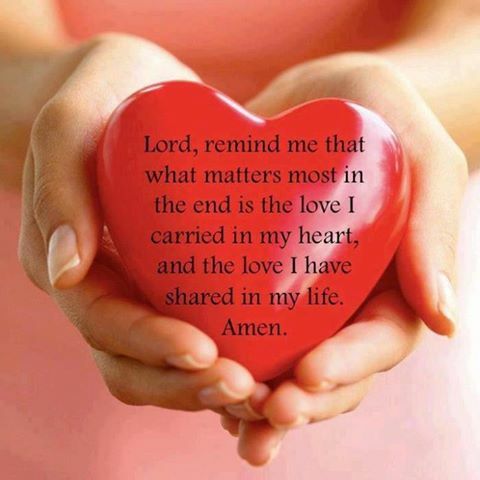 I am going to do what I do best when it comes to sharing my heart with you – and that is to let it pour right on out. If you have been following the blog, you know that I, like many of the rest of you, have been a bit overwhelmed lately. IT’s mostly a happy-kind-of-overwhelmed, but still tough. Since I have started my new wonderful job, things have gotten a bit shook up. I am grateful as can be, but I am going through multiple adjustments right now that are small in comparison to what many of you are going through, but rocking my world nonetheless. Anyway, this is not a pity party blog, rather, one in which I seek your input – which I value ALL the time! Next to the Lord, it is YOU that I seek for wise counsel when it comes to this blog and our blogging community! While I am adjusting to my new schedule, going through a lot of training, trying to fit in time to work out and blog and do my bible study, I have found myself having a hard time in replying to your heartfelt comments. If you know anything about me at all, you realize that I cannot STAND lack of acknowledgement and encouragement amongst friends. I have always found it easy to make it a point to specifically validate and reply to my friends comments, and even make the time to comment myself on your posts too. Yet…I have been lacking in this area – as I am sure you can see. Let me be clear: I am reading every last single ever-loving ONE of your comments, friends. I LOVE, LOVE, LOVE them and want you to keep them coming. It helps me know what you find valuable, how you are, what I can pray for, and I gain encouragement from them as well. It keeps me going when it comes to the blogging and the sharing, and helps me know what you’d like to hear about. However, I need to take a vote on a couple of things. Here is what I need your vote and comments about – I have some choices here, but am also open to your own original suggestions as well if you find there is a better option that you can share. 1 – Would you prefer for me to continue to try to blog daily, read your comments, pray over them, but not necessarily answer them all? 2 – Would you rather I submit a blog post once a week or so and reply to every comment you make and make time to comment more frequently on your own posts (which I still read, by the way). Any feedback you can provide to me is going to help me immensely. As you know, we are all in this together, and I want to allow Jesus to add value to you, your blogs, your lives – who better to ask about that than YOU? Thank you friends. Please vote in the comments section below, or give me any thoughts or ideas you might have and I will check them out. I am excited to hear back from you. And I MISS you guys!!!! Are you ever caught in the “gimme” box? It’s a prison, you know. I get caught in it all too often. Thank the Lord He is constantly reminding me of my place before Him. Being humbled hurts sometimes, but so does prison. One is pain that results in greatness and fulfillment in who we are in the Lord. The other only leads to loss and more need that can never seem to be satisfied. We truly deserve none of these things – we aren’t entitled to any of it at all. Yet if we follow after Christ, we receive so much more than all of this (and even more) put together multiplied ten times over! And it’s not because we did one single thing to earn it. It’s because of His grace, love, and mercy. Don’t fall for the gimme gimmicks, friends. We are all human – this is true. And of course, our hearts and minds are filled with desires. It’s healthy to have hopes and dreams that are in line with God’s will – but it’s hard to keep those things aligned with Him and surrender even the well-intentioned things over to His total and complete control. That surrender – giving it all to Him – minute by minute, day in and day out…that’s where the “gimme” really needs to be. Yah…it’s the other way around when it comes to who should be giving anything up! Us giving over ourselves to HIM. Jesus knows what is good for us – He knows what His plan is for everything and everyone in this world. In fact, His plans go far beyond this little bubble in which we live and breed desires – covet and hang mere human hopes upon. His plans are eternal, not fleeting. They are infinite not finite. They go beyond desire and reside within His divine will and power. It is real – His plan. He is real. 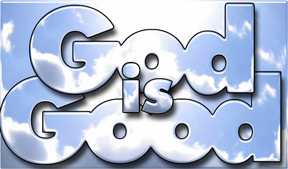 No gimmicks are involved when it comes to the one true and living God. Instead of “gimme”, let’s change it to “have-me.” And let’s be free. What is it that Jesus is asking of us when He admonishes us to display meekness? As I ponder this and pray over it, I am amazed yet again at how mankind has twisted the meaning of “meek” to the point of being utterly upside down. When we think of meekness, we tend to think of one who has no backbone, displays total loss of control, and is just helpless or without conviction. Nothing could be further from the truth of what Jesus means when He talks about this – in fact, it is something He considers awesome enough that those who live it out receive an extra blessing. Jesus Christ models everything that He asks of us in the most perfect way possible and meekness is included in that. Our Savior is no wimp by any stretch of the imagination! Quite the contrary – He’s the Savior of the World – and then some. 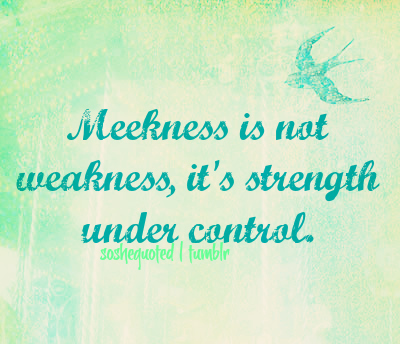 Meekness is strength and power cloaked in self-control. To be meek is to be kind, gentle, yet slow to anger or wrath. Meek stands firm upon the truth, yet bends to meet people where they are at and love them anyway. Those who are meek like Jesus – they don’t have to sacrifice their convictions at all – only their human sense of “pride” or entitlement. Maybe that’s because they have nothing “wordly” to lose anyway once they decide that it is Christ alone who is to be followed after….not some counterfeit good guy. We are to turn away from evil, and even go a step further and answer it with a soft disposition. We are to know exactly where we stand – firm upon the foundation of truth that IS Jesus Christ, not lording over all others we encounter in our world. To be meek, we must be humble. There are times to stick up for what is right, but even if we are slighted, we are to answer that “offense” with the love and compassion of Jesus. 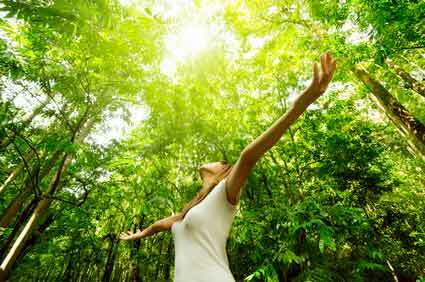 Christ says, that in doing so, we are abiding in Him, and we shall inherit the earth. But the burning question that resonates throughout our minds and hearts is always still there…..is it possible to stand strong in our convictions, yet be “meek” in our disposition all at the same time? And this leads to yet another question: If we can say “yes” to that, then just HOW is it that we pull this off? We look again to Jesus Christ. We fix our eyes upon Him – burned right into Him. He is the focal point. And we remember not to blink. Did Jesus Christ seem like an absolute doormate as He walked this earth? Do His teachings show that He never stood up for what was right? Does every single mention of Jesus Christ in scripture portray with full and divine clarity that He was and is able to be firm, yet gentle….loving, yet truthful…..approachable, yet committed to His relationship with His Father above all else? Yes, Jesus drew lines in the sand, and sometimes even felt the need to speak words that were very firm and eventually, many turned against Him. But He always did so in love and with compassion. He always did so with complete power under control. Jesus IS grace under pressure. Jesus IS meekness. And, yah…..He certainly DID allow others to be “offensive” towards Him. 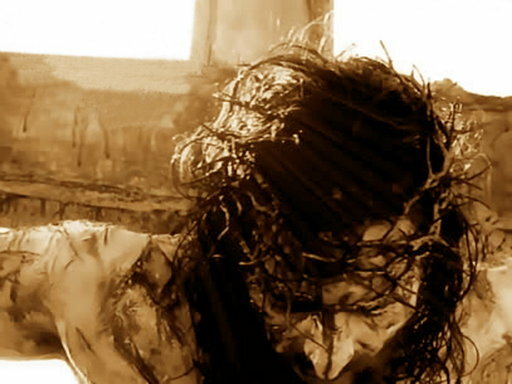 He provided this freedom to others and even sacrificed Himself for it….for all of us. That is meek – but there’s no way that is weak. Let’s seek to be meek, just like our Savior, Jesus Christ. Let’s stand for truth and do so lovingly as well. And then let us give all the glory and honor to Him as we live this out. It’s hard to bite our tongue. It’s hard to take the slaps and punches. It’s hard to do so without retorting right back. It’s hard to be meek. He never said it would be easy. I’ll take hard with the blessings and the promise of eternal life with Christ forever over empty easy any day though. I just need His help to do it. I think He will deliver – don’t you? Seek to be meek like Jesus – ask Him to fill you up with Himself today – then bask in His promises – because He shall reign forever and ever. I want to be right by His side for that! What tears through our hearts – what ravages and rages…He can calm. What may burn or sting – erode; seek to destroy….He can mend. What seems to tear down, erase, and challenge us….He can renew. What we think is ours – ours to build, tear down, gain or lose…..
As I am training for my new position at work right now, I am reminded (in the most up and down kind of way possible), of what seem like some pretty tedious limitations regarding my mental capacity. As a now-menopausal woman who had previously been doing the same thing at work for the past ten years, this learning curve has been a wild little ride. My previous job was not easy by any means – but after doing it for a decade, I had pretty much mastered it. Sure, there were always new things to learn, but I truly had that role down. I taught that role, coached others how to do it. I could do it backwards and forwards without a problem. Add in the fact that when I initially had to learn how to do that work, I was younger, more “with it” and well, NOT menopausal. BIG difference, my friends – BIG difference! This can instill fear like you wouldn’t believe into a type A person who has never really had to struggle very hard to pick up and master new things rapidly. It spells out a recipe for a reluctance to and fear of learning (something I have NEVER been wary of before) that doesn’t look too appetizing. Just like with everything else though, we have a choice as to how to approach that fear. It all depends upon how we look at it and to whom we look when we deal with the frustrating aspect of it all. Correct and healthy perspective…it’s a beautiful yet sometimes elusive thing, isn’t it? 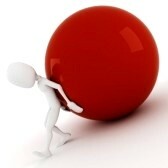 Being or feeling ill-equipped can lead us to be stronger than we ever were when we seemed like we could “do it all.” We could even possibly excel as a result of the challenges we face. Did you know that? I have really been struggling to find something positive about hormonally induced brain fog that I can look to and apply in my life. For a while now, the only positive I could come up with was that it does help me have more empathy for others who are feeling lost, bewildered, or like they are losing their ever loving minds (no joke). I feel I can and will continue to be able to relate more now to those who have learning challenges, mental disorders, alzheimers, or even the beginning of senility (probably not a politically correct term, but let’s blame that one on my brain fog too, brothers and sisters). Even normal human emotions or states of mind can fall into this category too – people who just feel confused, disoriented, grieving, generally stressed, and have consequently ended up with a blocked sense of perspective. I can think of lots of things that can cause people to not feel understood, not feel like they are up to speed, or feel just plain less than the best version of themselves. The reminder to surrender – more, and more, and more. The awesome and divinely consistent revelation that it is not about being the best version of myself, but instead of being who Christ wants me to be! I have concluded there is pretty much always more we can surrender if we are really honest with ourselves. Giving it all to God is just not part of our human makeup, whether we think we have “reached” that point or not. We can have the intention of doing so, but if we encounter a new situation or trial or challenge (such as my lovely brain problems), often we quickly realize we now have more we need to give over to the Lord. I look back at my life and how truly easy it was to learn new jobs and master them right away and then I feel a sense of longing and loss. But then when I really stop to think it over and pray about it all, God gently and lovingly reminds me of the fact that I was doing it in my own power before. I was striving and achieving, excelling and learning, and it was pretty easy for me to be who I wanted to be when I had control over everything (or so it seemed). I ended up achieving success by the world’s standards and gave some of the glory to God and some to myself. I certainly had less of a conviction that I needed Him in those matters than I do today! It may sound funny, but it really is true – when you find you can’t even learn half as fast a job that is so much easier than the last one you were an expert at, it is a stark reminder of the need for humility and daily surrender. God owns our next breath – our health, our wealth, our relationships, our jobs, homes, families, church, friendships, material goods, spiritual gifts, and yes, our puny little brains. He owns our sanity. He owns it all. It’s freeing to know that my Savior wants to put my gifts to use and that He can use this brain fog struggle to mold me into what He wants me to be, instead of allowing me to continue to mold myself into what I want me to be. How awesome is that? What seems like a limitation is actually probably going to end up being what helps me become the vessel He truly intends for me to be – all for the glory of His kingdom, and I am certain, for my own good too! Yes, I’m grasping my training in my new job but not in the way and at the speed I would have ten years ago. But I am also reveling in the knowledge that my Jesus has my back – that it is by Him and His power that I even have a job. That He alone can equip me to do this job, and if He so desires, another – even way more difficult one at a later date if He so desires. If not, He will make me healthy and successful in the role that I am in – I just have to believe and be faithful. 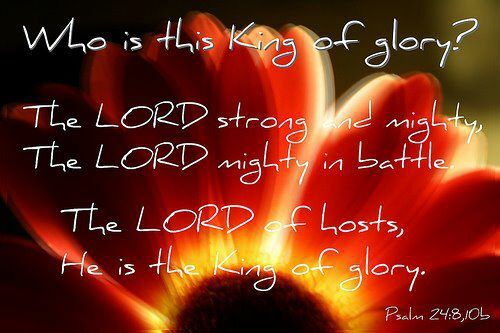 Our God is a mighty God! It’s all Him. I just have to put my best foot forward daily while making sure it is stepping right into the footprint He left for me to follow. Through thick and thin, He will lead me and guide me – He will do the same for you if you wish to follow after Him, friends. 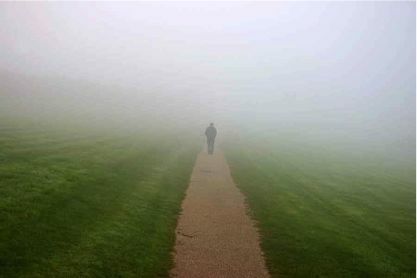 I won’t pretend that I have reached a place where I actually like my brain fog – no, I really don’t, but I actually might find myself there one day. But I can be grateful for it and I will do my best to cry out to the Lord to carry me through it. I can find a way to embrace my Savior through it all and trust in Him that all will be well. Because along with all of those other things I mentioned earlier, He owns my heart and my soul too. Just when I think I’ve lost it – the ability to function intelligently and effectively – He reminds me of the fact that while I am mourning the loss of my quick-witted brain, others around the globe are struggling to determine if they will even eat today. I needed that reminder – I still need it – daily. Maybe that’s why He brought me back to Compassion International – to continue to pop the other bubble of the perpetual brain fog I have been living in all my little life – the one that most of us live in here in the Western world (even when we try not to). Like I said, it’s all about having the right perspective – you know…the true one? The one that comes from knowing Jesus and living the life He would have for us versus that of our own making. And His light can and will cut right through any kind of fog. May you have peace, joy, love, patience, and hopefully, moments (at least) of clarity today as you search for His light regardless of where you, or your “brain” might be. Whether our bubble is thick or thinning out, He is always there ready to slice right through it. 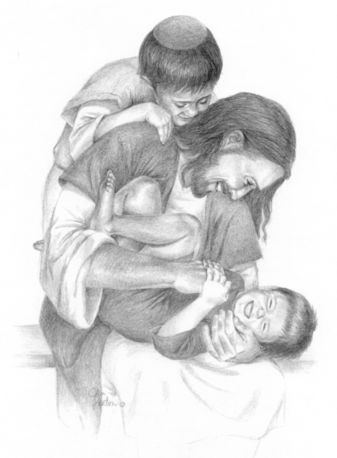 Thank you Jesus….for the sharp, yet gentle truth that You faithfully provide to us…Your children. 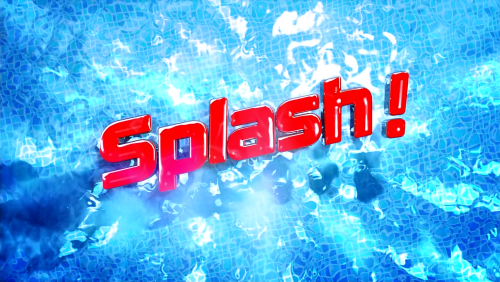 This weekend – (are you ready for it?) – I am going to……….Take a break from blogging! Actually, that’s not fully true – I am going to take a break from the output and focus on input this weekend. I am just going to be hangin’ out, yo. ** Spend more time in the word (rather than the hurried 20 minutes each night I have been doing for the past two weeks). ** Hang out and maybe watch a movie with my family (are you kidding me right now? I haven’t done that in a looonnngg time). ** Return comments from you dear souls who have been communicating love to me this week while I have been “incomunicado” as I adjust to this new schedule. * Think about love, joy, peace, patience and kindness – and show some! * Go to church and not worry about hurrying home. * Clean my house till it sparkles! * Maybe go shopping and buy these new rad slippers I saw at a store. * Other stuff that I wanna do (tee hee). I am loving this life friends. I love being “normal” – going to work in the morning, getting off of work in the evening, and having weekends off to spend with my little family. I love seeing the sun – feeling like I am amongst the living – chillin’ with my peeps. This brings me peace. This brings me joy. 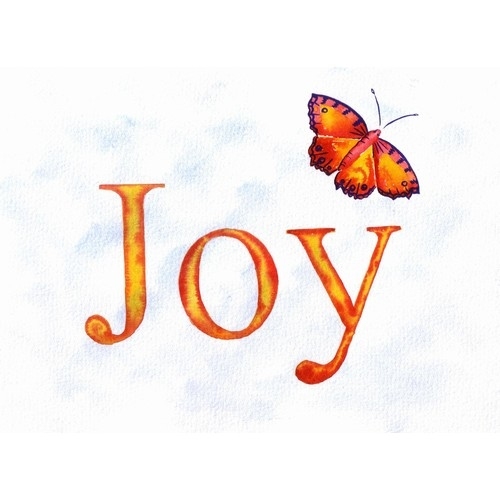 Did you find peace, love, joy this week? 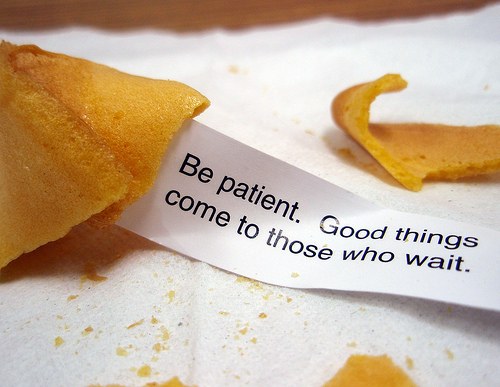 Did you have the chance to show patience or kindness when it was easy and when it was well….NOT? Maybe while you are hangin’ out this weekend, you will find even greater blessings in the small things in your own life as well – it is my prayer for you that you do. Here’s to hangin’ out and loving the little stuff in life! Because You are a Beautiful Guy…..
For the rest of this week, I am looking at peace, patience and kindness in addition to love and joy. It shouldn’t be hard to find the opportunities for these as I am someone who struggles particularly with patience, which then leads to some unrest at times, and once in a while, impacts how active I am in showing kindness. Today in my training class we were shown a beautiful video in which a Compassion advocate displayed all of these to a child as well as the mother of this child in Bolivia. 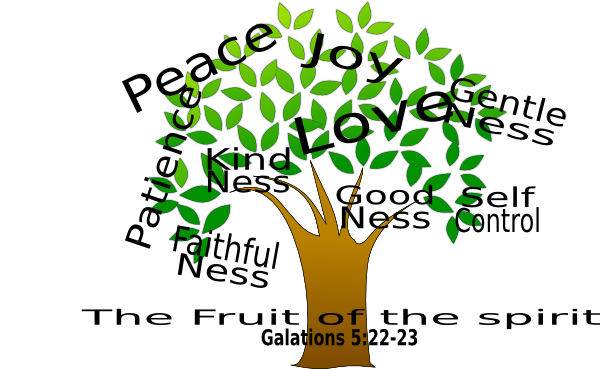 Jesus was seen through these fruits – and clearly, seeds were planted. 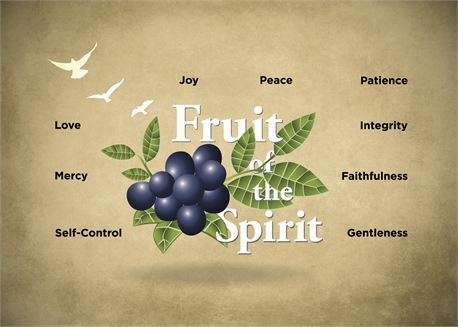 If you have the chance watch this video and see the fruit of the Spirit at work – you’ll be glad you did. Do we love only those who are easy to love? Do we need others to approach us…defer to us….make us feel good about..well… us in order to gain our love and care? Can we love those who aren’t very nice to us? What about those who just don’t seem to care? Is it possible to seek to love regardless of the circumstances? If we are feeling downtrodden and in the dumps because our love or affection is not reciprocated, do we remember who we look to for our own source of acceptance, love, grace and joy? 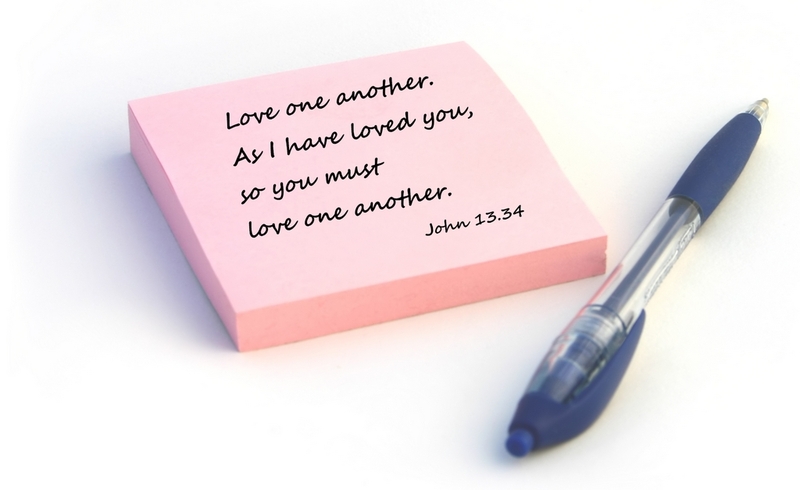 How does love tie in with putting others before ourselves? Is love just a feeling or a choice? No….love is an active choice and we can show love even when we aren’t feeling it. And we can communicate and show our love even if the person on the receiving end doesn’t “feel it”. Choose to love today and let God do the rest. Jesus did it for us. And because of Him and the gift of the Spirit He has provided to live inside of us, we can do it for others. We’re loving Him by loving them. 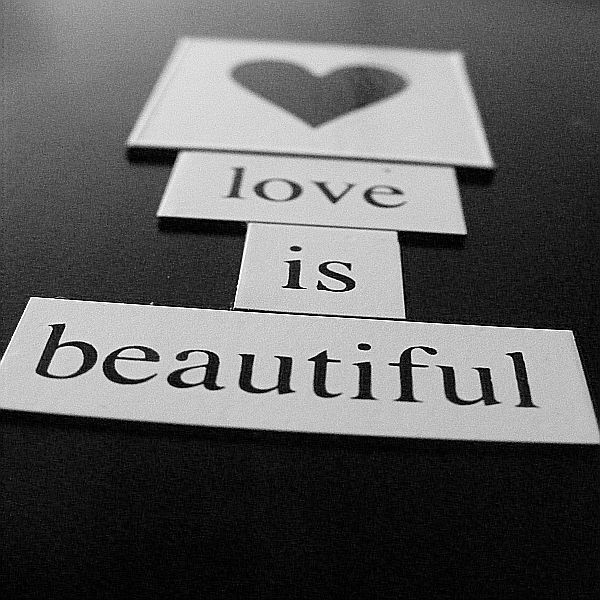 Yes, love is beautiful, yet it isn’t always bundled in cute little packages, is it? Fact of the matter is, the greatest example of love ever shown was not a pretty picture to look at at all. It certainly wasn’t a pretty experience either. And oh yes….there IS beauty in THAT. The team of folks I am in training with, along with our awesome teacher prayed together. 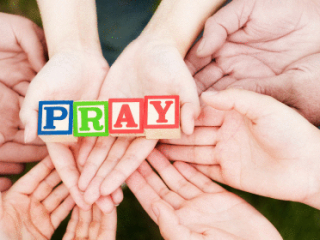 We got to pray together…..at work. I have finished the season in life where it was not allowed to pray together as a group at work, and have joyfully emerged into a renewed time in which it is not only acceptable to pray with others in the corporate setting, but vital to the health of the ministry and the employees too. Thank you Jesus for allowing the the privilege to pray out loud with others, whether I am at work, out in the world, or at home. I am so very grateful and I am filled with joy for this seemingly small, but oh-so-very-big and awesome gift! As promised, I am sharing some of the love and joy that I am seeing displayed around me this week – things that normally I either didn’t take as much notice of as I should, or things that have not really been as much a part of my world as they are now. I guess it won’t do any harm to share where I work now that it’s official – I am back “home” at Compassion International, a Christian, Jesus-Centered, Church-Based and Child-Focused international ministry where it’s really true – JESUS is what it’s all about. I worked there from 1991-2000 and then had to leave to stay home with my three children for a while. After that, I needed to work, but as much as I wanted to return to my Compassion family, my husband and I felt the need for me to hold a night job. That lasted 10 years. Get this: Compassion moved buildings after I left in 2000 – right NEXT to the building I was working the night job at for 10 years. In one sense, I thought that was kind of torture, ya know? In fact, quite honestly, when I would drive into work at night, I wouldn’t glance over at the Compassion building because I knew that I couldn’t go back just yet and didn’t want my little heart to start to hope for something that was not realistic for me and my family. When I would LEAVE my night job to go home, I then was able to look over at Compassion and think of them and pray for them. Odd, no? I had so many deep friendships there – after a few years I stopped staying in consistent touch with those friends of mine – although they are the kind of friends that even with that loss of contact, once you are together again, it’s still there – that bond. But when the Lord started nudging me to move out of the job I had been in, guess what happened? I started not having any problem whatsoever looking over at that Compassion building. And then……I started to pray about them more and more and more. And I started to think “I think I want to go back to Compassion now.” It took a while for things to come to fruition, but they eventually did – after some other changes and some uncertainty, and a willingness to surrender in faith and realize Compassion may not be where He will have me end up. As soon as I embraced that fully – (that maybe He wanted me to leave my job, but go somewhere ELSE other than Compassion) He opened the door. God is so GREAT. Anyway, more will be coming about my return “home” to Compassion, but today I wanted to point out some of the small acts of love and joy I saw displayed while at work. A story was told about a sponsored child who received an extra “gift” from their sponsor and used it to purchase things for the rest of her family – necessities, and the only “luxury” was material for she and her mother to make matching dresses. Our esteemed President of the ministry, dear and wonderful man that he is – I got to watch a video of him speaking not too long ago kind of reviewing the past few decades at Compassion and looking to the future – just hearing his voice and seeing his face – I can see that he is the same wonderful and God-fearing leader he always has been. He lets Jesus lead. Friends I am making in my department and training class are blowing me away with the love and joy they show and the ways they do so. For example, after meeting one man that is in our department, the two of us who are new hires to the minstry received a specific and personal email from him later that day – he told us a story of how his mother came in for a tour of the ministry and to have lunch with him, and how it touched her heart to see the love in the place. These are the things that most people don’t take the time to share or relay – especially to someone they just met. Another young man invited us to go eat lunch with him and a group of others from the department, while still others took us to lunch in the cafeteria during our orientation. Best of all – in the foyer the first or second day we were in orientation – there was a group that was touring the building and learning about the ministry and children were amongst the folks in this group. They were playing on the life-sized Jesus statue in the foyer and admiring Him, climbing into His lap, and having a great time. They were at home, they had no fear, and everyone that was around embraced this fully. Children are really and truly welcome at Compassion…that’s what they are about. But it doesn’t stop there. The way this ministry leads, both internally (in regard to it’s employees and partners) and externally (relating to their sponsors, donors, children sponsored, project partners, partner countries, and general public) is, and has always been marked by Jesus being the true leader. How can you not see love and joy in that? If we remember to let Jesus lead, that love of His…that joy that only He can provide…it will flow abundantly. Thank you Jesus for never changing in an ever-changing world. Thank you for growing this wonderful ministry yet guiding the leaders and members of the ministry to keep you where you belong…. Right in the Center of it all.